Enter the Art of "Oil Pulling": Oil Pulling is an ancient Ayurvedic folk remedy that involves swishing oil around in your mouth for 15-20 minutes. Not only can this practice improve your oral health; but it can potentially help treat systemic diseases, is a method of detoxification and is a natural way to get those teeth REALLY WHITE! What does oil pulling do? These pure, organic, cold pressed oils act as agents for pulling harmful bacteria, fungus, and other organisms out of your mouth, teeth, gums and even throat…and even blood stream! Upon waking in the morning, place one tablespoon of cold pressed organic coconut oil in the mouth and swish around for 15-20 minutes. The type of oil is important. I use coconut oil, but you can also do this with olive oil, sesame oil, or sunflower oil. The oil must be "cold pressed" oil. Do not swallow the oil, pretend like it is mouthwash. After 15-20 minutes, spit out the oil (in a trashcan to avoid clogging your drain with oil buildup over time). Immediately rinse your mouth with water (sea salt water preferably). Then brush your teeth and go about your normal morning routine. I find it works best to start the oil pulling as soon as I wake up. I oil pull during my shower & makeup/hair normal morning routine. By the time I'm done getting ready, the 15-20 minutes is up and then I can go eat breakfast! So why should YOU take on this unconventional folk remedy of oil pulling? Helps detoxify the body of harmful metals and organisms, you're essentially detoxifying every morning! What's the science behind it? To avoid boring you, I'm going to sum it up in one sentence. The lipids in these unrefined, pure oils attach to all the bacteria & toxins in your mouth over the course of 20 minutes and the oil, more or less, "pulls" out or purges your body of these toxins once you spit out the oil. All I know is this. It can't hurt you. 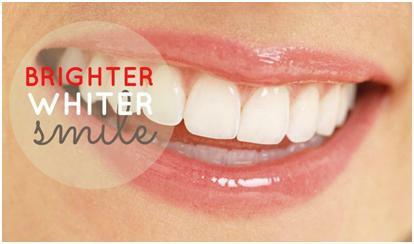 It definitely is making my teeth whiter and whiter! It is essentially a "Daily Detox", so you can't go wrong with that. And all of the potential benefits make it the best thing since sliced bread! 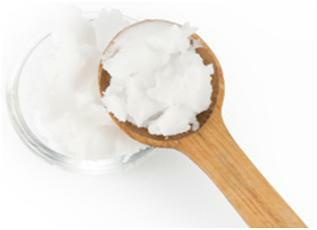 Will you be oil pulling tomorrow? If so, Nutiva Organic Virgin Coconut Oil is the coconut oil I use. I buy mine online because it's more cost efficient. Just make sure yours is organic and cold pressed! I'd love to hear your comments below with questions and your experiences with this new morning routine!